PROMO FARES ARE HERE AGAIN! On Turkish airline from Lagos to London N380,000. On Ethiopia airline Lagos to China N388,000. On Rwanda airline Lagos to Dubai N270,000. 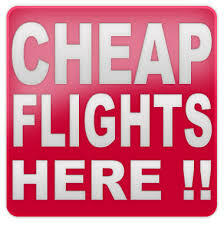 On Qatar airways form Lagos to New-York N403,000. Name * Please enter your full name as it is on your passport. Please select your payment plan below. You can either pay in full or take advantage of our Pay at your Pace (PAP) program. This program enables you pay in installment. Click Here to find out more.